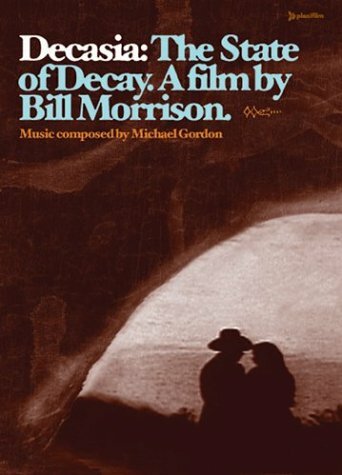 Created by award-winning avant-garde director Bill Morrison, DECASIA was edited entirely from found film footage left in archives that deteriorated over time. The severe emulsion deterioration reveals the film stock in its basic cemical form and the images likewise are stripped to their most primitive emotional state. The soundtrack is composed by composer Michael Gordon. If you have any questions about this product by WEA HOME VIDEO, contact us by completing and submitting the form below. If you are looking for a specif part number, please include it with your message.